Dr. Nathaniel Chan was born and raised in Toronto, Ontario. After completing an Honours B.Sc. in immunology at the University of Toronto, he moved to Boston to attend Tufts University School of Dental Medicine. Since graduating, he has undergone advanced training at the Las Vegas Institute for smile design and neuromuscular dentistry. Currently, he serves as an Assistant Clinical Professor at Tufts University. 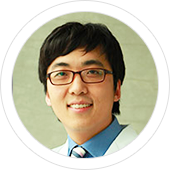 Dr. Hur is currently an assistant professor of Periodontology at Tufts University School of Dental Medicine. He is a Diplomate of the American Board of Periodontology and is a recipient of the fellowship award sponsored by American Academy of Periodontology Foundation. 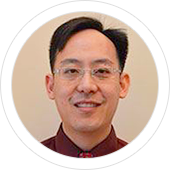 Dr. Hur is a member and peer-reviewer for the two main publications of American Academy of Periodontology: Journal of Periodontology and Clinical Advances in Periodontics. He is a member of the International Association of Dental Research (IADR). 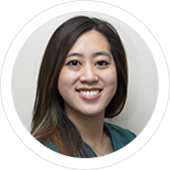 Dr. Hur practices in the Boston area and is particularly active in the clinical research of Periodontology. Dr. Kelly Koch was born and raised in Grand Rapids, Michigan. She always knew she wanted to be a dentist from a young age as she loved how the field combined her passion for art and interest in the sciences. Dr. Koch attended the University of Michigan where she earned a B.S. in Biology in 2013. She went on to Boston to earn her Doctorate of Dental Medicine from Tufts University School of Dental Medicine. Dr. Koch was honored to be selected as a Clinical Teaching Assistant during her fourth year, which enabled her to mentor fellow students just entering the clinic. Dr. Koch was awarded a Senior Recognition Award for her efforts in occlusion and temporomandibular joint disorder. It is Dr. Koch’s goal to make every patient feel comfortable while providing gentle, comprehensive care and helping them achieve their perfect smile. When not practicing dentistry, Dr. Koch loves to cook and bake, play the piano and travel. Although a native of California, she and her husband now live in Boston with their Alaskan Klee Kai, Maverick. 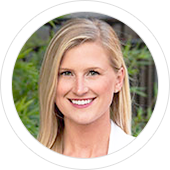 In her free time, Dr. Rowan enjoys oil painting, photography, scuba diving, and traveling.